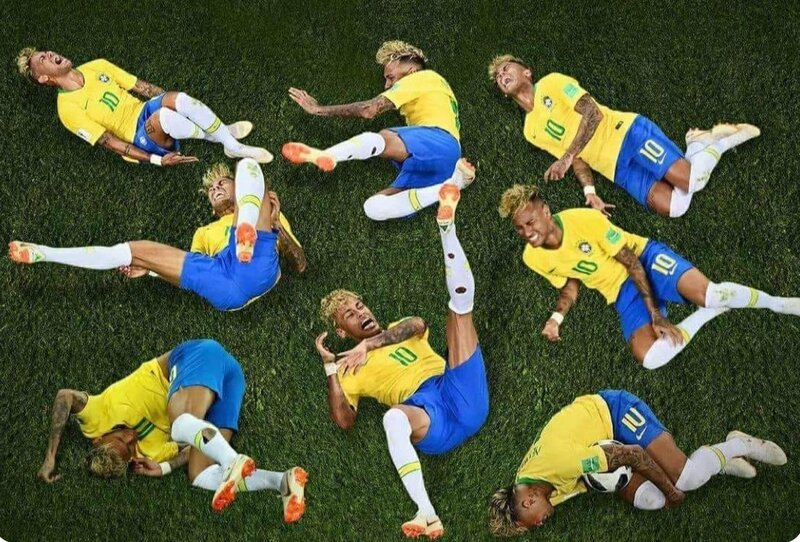 Neymar is the latest player to become a World Cup meme after his spectacular backwards dive against Costa Rica only narrowly failed to win his side a penalty. 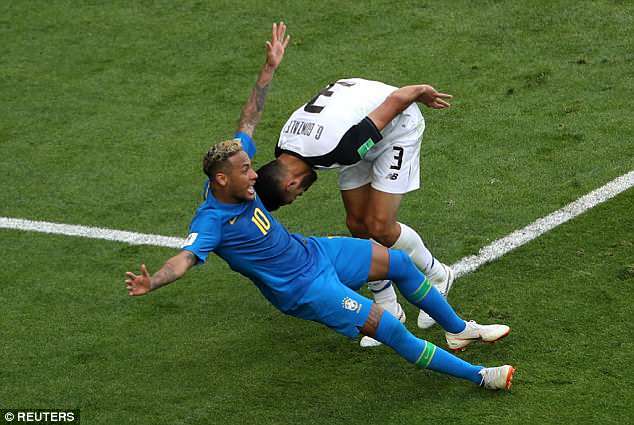 The Brazil star went down easily in the penalty area after barely even a tug from defenders, flopping on his back to claim a foul with 12 minutes left. 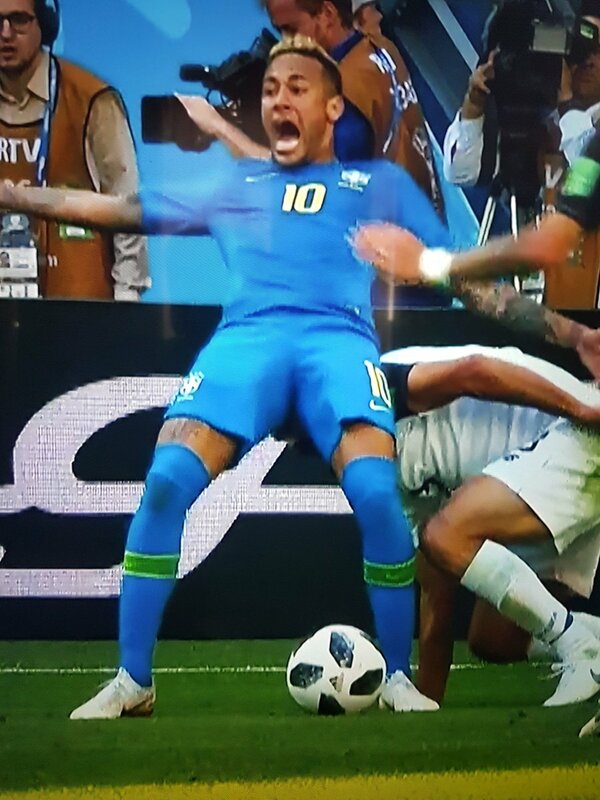 Referee Bjorn Kuipers was initially convinced and pointed to the spot, but after consulting the VAR screen he reversed his decision. 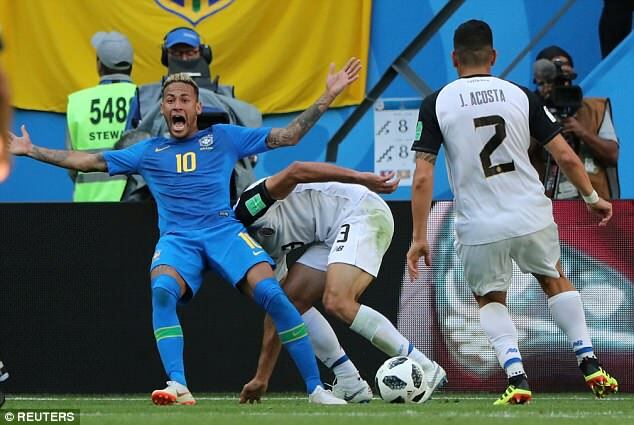 Social media users mocked Neymar for his acrobatics after he seemed to appeal for the penalty before he had even finished falling to the floor. 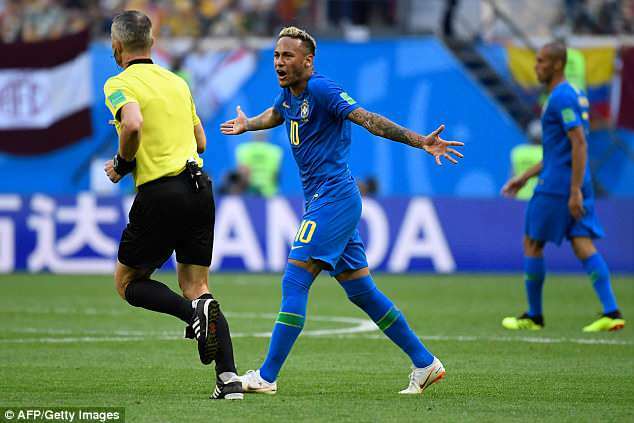 Neymar's side however picked themselves up to score two late goals and beat Costa Rica 2-0, bouncing back from an opening-round draw against Switzerland. 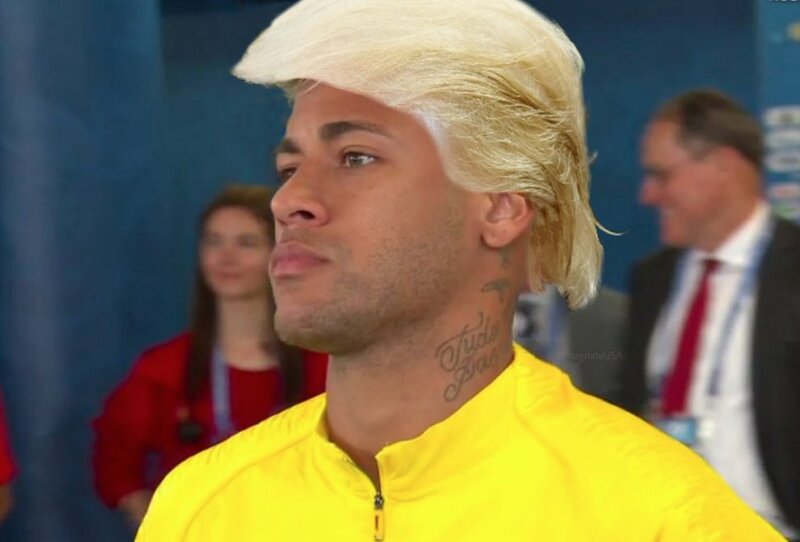 Photos: Piers Morgan shades Neymar! 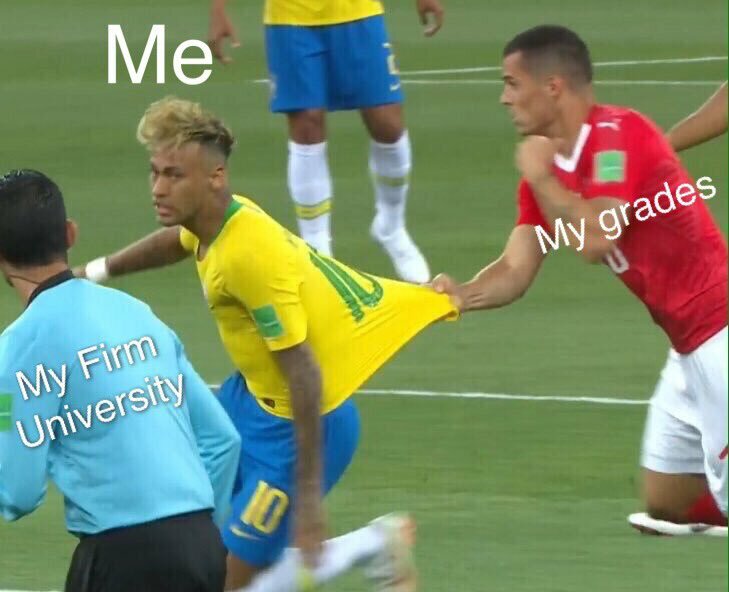 #BRAMEX #Russia2018 #WorldCup.